Hashim Amla, South Africa’s Opening Batsman broke the previous record that was held by Virat Kohli, and became the fastest batsman to reach 27 ODI Centuries, he did this during the One Day International against Pakistan in the St. Georges Park on Saturday. 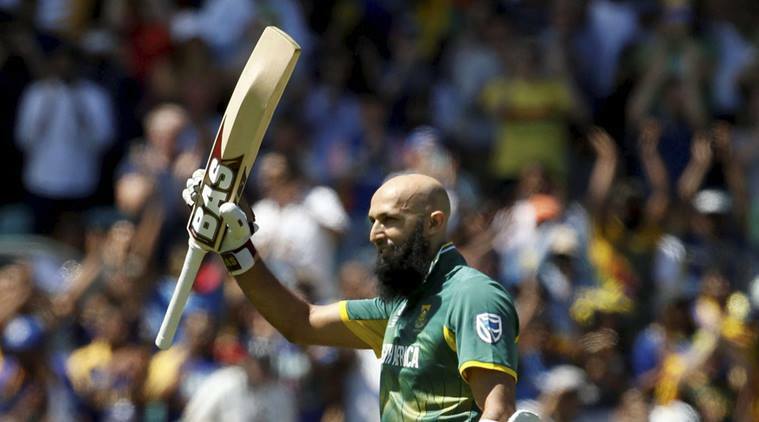 35-year-old batsman Hashim Amla scored his 27th ODI Century in just 167 innings, while it took Virat Kohli 169 innings to reach his 27th ODI. Before both Hashim and Kohli held the record, it was Sachin Tendulkar who held this record, he did this in 254 innings. Virat surpassed the iconic legend’s record with a century at Pune in January 2017. Hashim had 108 runs and was not out, and new captain Hendrick Dusses put 93 runs, as South Africa posted for 266 runs after opting to bat first. But, Pakistan did not give up, Imam scored 86 of the 100 balls and Hafeez hit an unbeaten 71 of 63, Pakistan went on and won with five outs spared. Pakistan claimed their 1-0 lead in Port Elizabeth, this is a 5 match ODI Series. Recently, South Africa defeated Pakistan in a 3-0 sweep during a test match series. Also, Virat Kohli with 39 centuries led India to their first ever win against Australia in an ODI series. India won the series 2-1 after 11 attempts in 71 years.